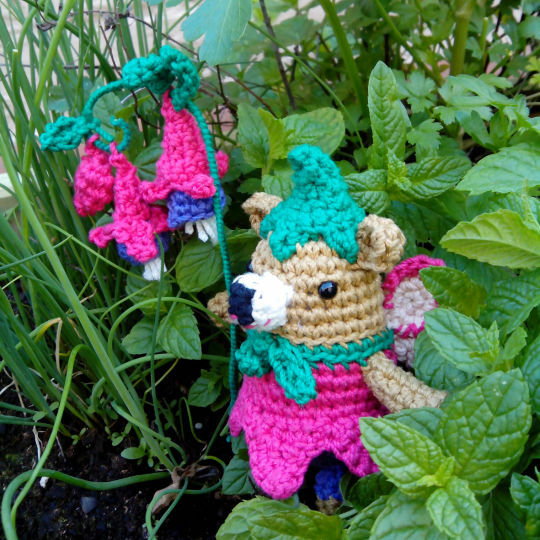 This year, a rare fairy has showed up in our garden, a fuchsia fairy bear! He can be found near fuchsia flower plants and loves to fly around enjoying the good weather. Have you seen one? Soon you may spot him or one of his friends.